special winter impressions. After your romantic winter and snowshoe hikes through the snowy forests and over the slopes sparkling in the sun, you can stop by at one of the numerous snug rustic huts of the Stubaital where you can be spoiled with Tyrolean lodge delicacies and hearty hospitality. 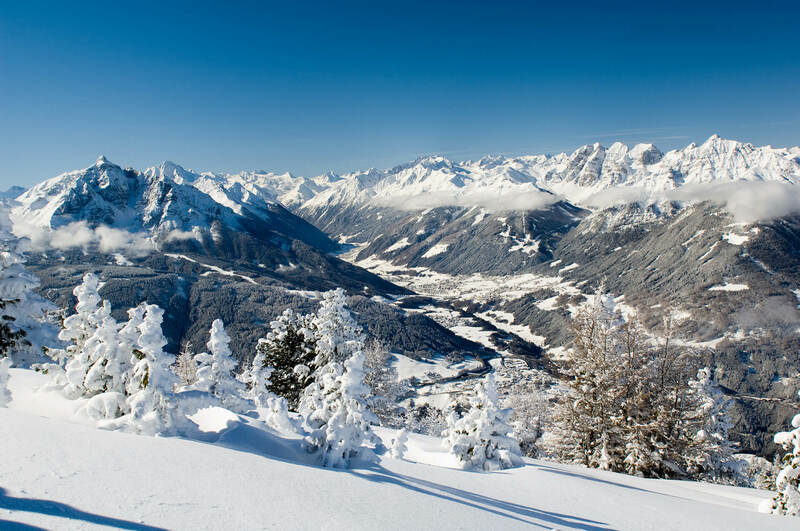 The imposing mountain landscape of Stubai is of course also a snowy paradise for lovers of all classic winter sports. 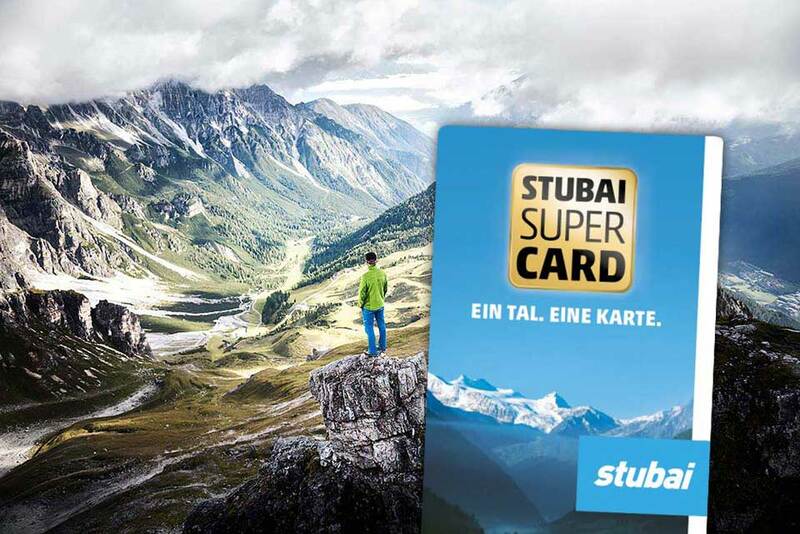 Whether you are a skier, freerider, snowboarder or cross-country skier: a wide range of possibilities awaits you in the skiing areas of Stubai. Ice-skating with the whole family is also part of a real Tyrolean winter holiday. Here with us in the Stubaital, in Neustift, which is only 2.5 kilometers away from Milderer Hof, you have the opportunity to pursue this pleasurable winter sport on 700 square meters of artificial ice. With floodlights, ice-skate rental, and the possibility of curling, time flies by here. Two further ice rinks are available to you in Fulpmes and Mieders. 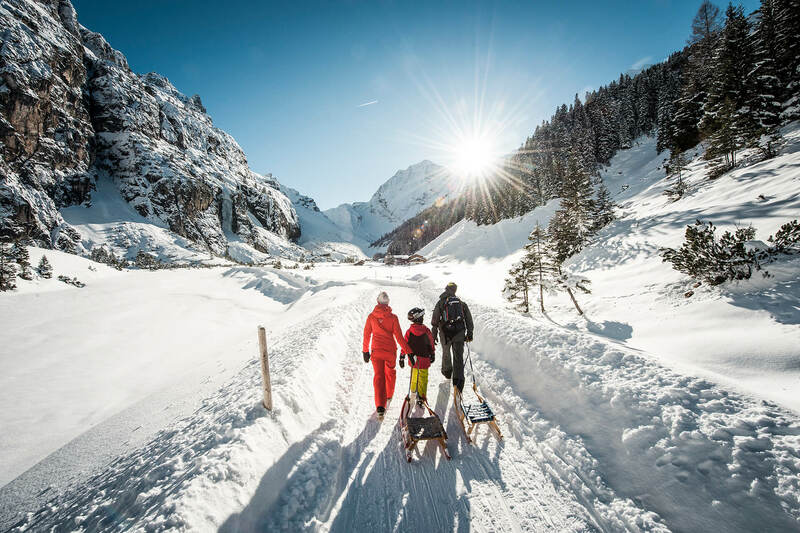 Whether you are an active winter sportsperson or winter aficionado looking for relaxation: the Stubaital has lots of variety for every taste. 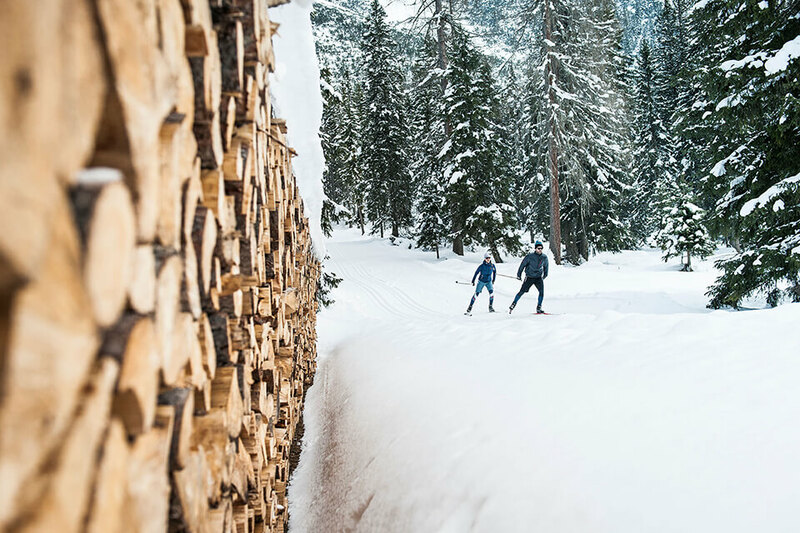 Cross-country skiing combines a sporting experience with deliberate immersion in nature. 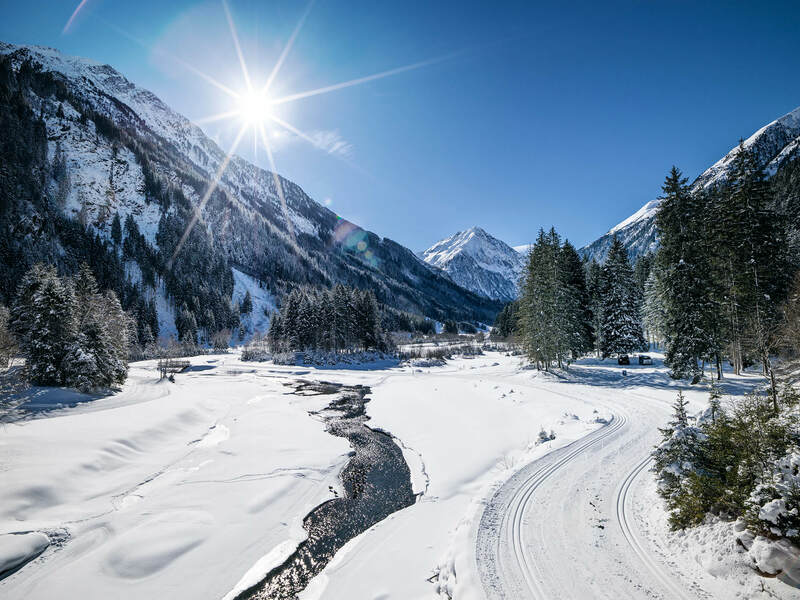 The Stubaital’s 62 kilometers of groomed ski tracks with guaranteed snow offer the finest cross-country skiing – for both beginners and advanced skiers. The valley ski tracks in Fulpmes (2.9 km) and in Neustift (17.5 km) are particularly suitable for beginners and leisurely cross-country skiers. The two high ski tracks on the Schlickeralm (3.5 km) and on the Stubai Glacier (2 km) provide beautiful panoramic views. The cross-country skiing pleasures of the Stubaital are rounded off by two night ski runs (each 1.2 km) in Milders and Auten, which are directly connected with each other. The Stubaital is Tyrol’s biggest tobogganing arena, with its 12 toboggan runs, 43 kilometers of tobogganing, and 14 toboggan rental stations. 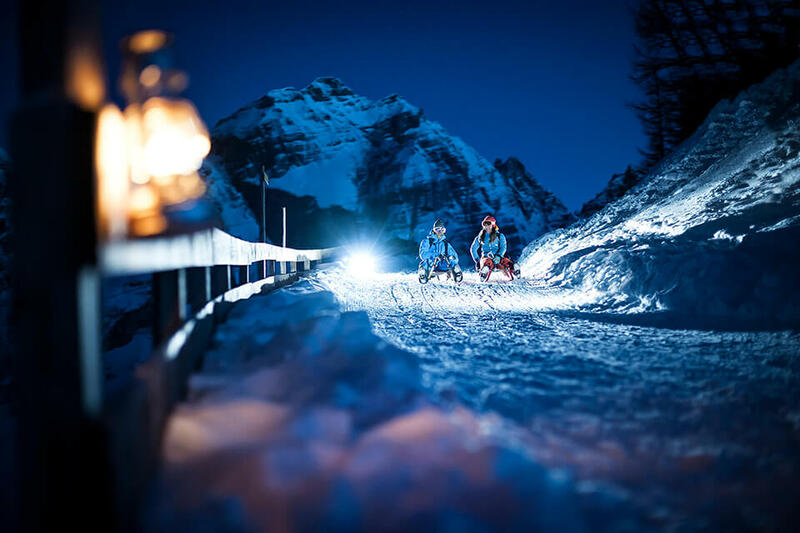 All toboggan runs have been awarded the Tyrolean Natural Toboggan Run Seal of Quality and four of them are lit in the evening. First hike up through the winter landscape with your toboggan and treat yourself to a stop at a lodge before speeding down into the valley. The 6-km-long toboggan run going from the Elferkogel directly into the center of Neustift is one of the longest natural toboggan runs in Tyrol and guarantees lots of tobogganing fun for the whole family. A pleasure not to be missed! 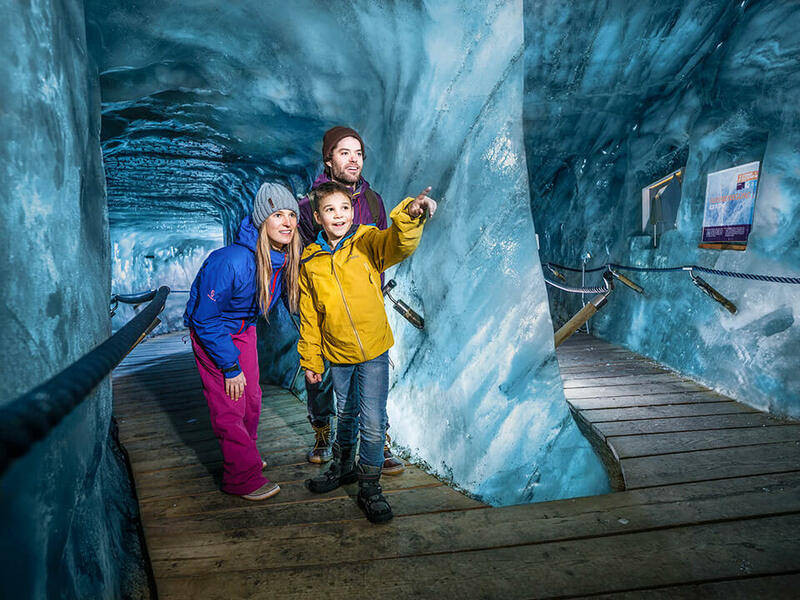 A visit to the ice grotto on the Stubai Glacier, at almost 3,000 meters above sea level, guarantees a special day trip experience for the whole family. Immerse yourself in the fascinating world of glacial ice. Glacial phenomena such as glacial moraines and glacial milk are made tangible and understandable on a 200-m-long and well-secured guided tour through the grotto. The grotto can easily be reached by foot, on a well signposted winter hiking route from the Eisgrat mountain station. Of course, you can also get to Stubai’s icy cave by ski or snowboard. Welcome to Austria’s biggest glacier skiing area, more than 3,200 meters above sea level! 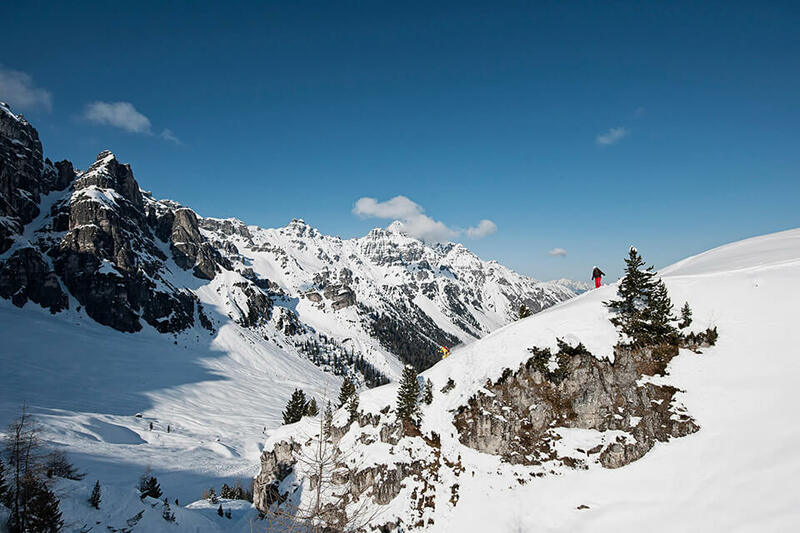 Several times in a row, it has been honored as the Alps’ most family-friendly skiing area, it boasts not only absolutely guaranteed snow from October to June, but also a varied range of slopes for children and adults. 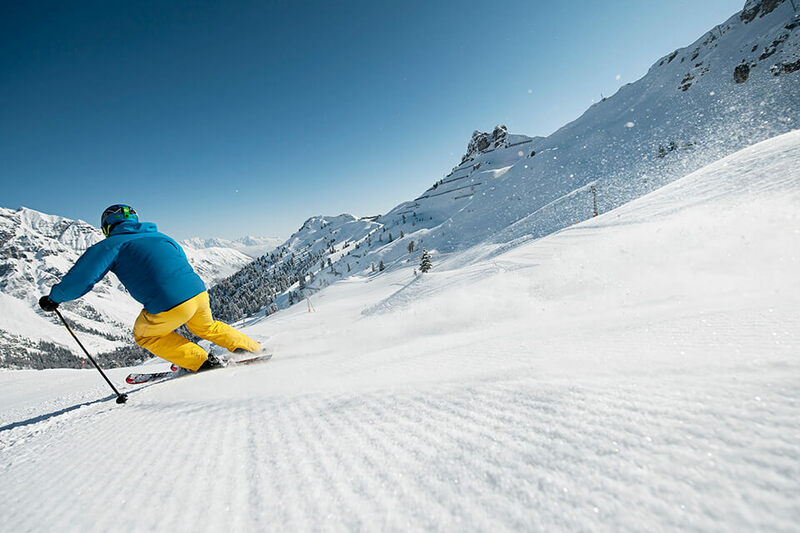 With 35 descents, ranging from easy to difficult, spread out over more than 60 kilometers of slope, and with guaranteed natural snow, you can enjoy fantastic skiing. mind while they enjoy their skiing. Many other features, such as a fun park and a speed route, will enrich your day of family skiing here. 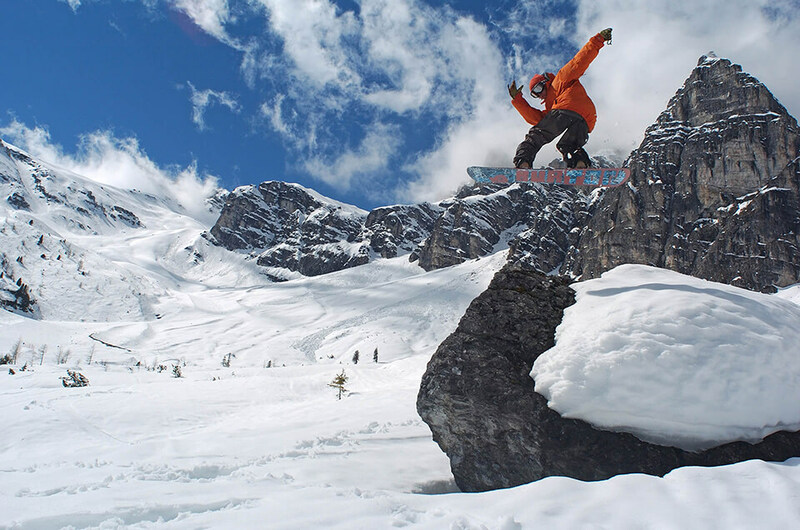 Plenty of action-filled activities are available for freeriders and snowboarders at the “Powder Department”, a paradise for freeriders, and Snow Park Stubai Zoo. On the Stubai Glacier, you will also find the Alp’s highest toque-winning restaurant.